Traditional Afternoon tea is a light meal typically eaten between 2.30 pm and 5 pm. Observance of the custom originated amongst the wealthy social classes in England in the 1840’s. Her Grace Anna Maria, Duchess of Bedford, is widely credited as transforming afternoon tea in England into a late-afternoon meal whilst visiting Belvoir castle in Leicestershire. 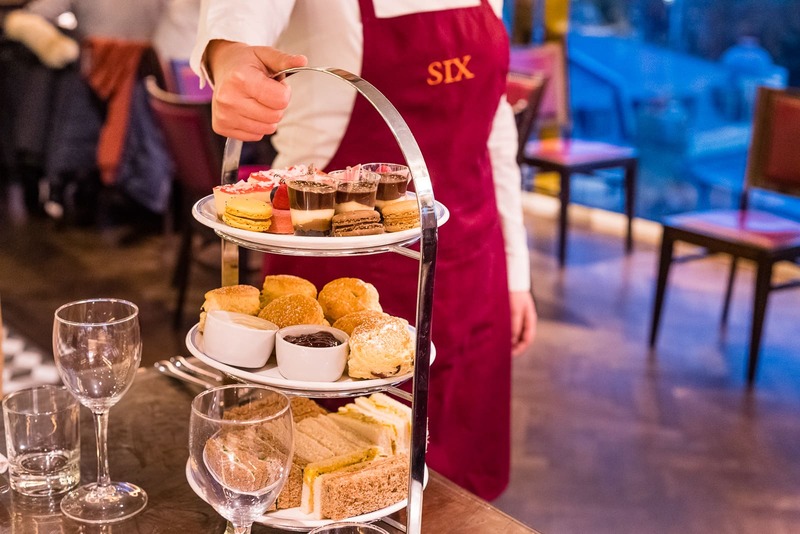 For the more privileged, afternoon tea was accompanied by delicate savouries (customarily cucumber sandwiches or egg and cress sandwiches), scones (with clotted cream and jam), and usually cakes and pastries. The sandwiches usually have the crusts removed, and are cut into small segments, either as triangles or fingers (also known as tea sandwiches). Biscuits are not usually served. Our afternoon tea is made up of finger sandwiches (smoked salmon coronation chicken, cucumber & cheese and egg mayonnaise & cracked black pepper) combined with fruit and plain scones and a large selection of homemade cakes. To reserve book online or please call 01223 307030.